Ryanair’s Michael O’Leary was not the star of the show but surprised the gathering by admitting he was wrong when asked years ago if Ryanair might join IATA. His retort then was the famous Groucho Marx saying: “I don’t want to belong to any club that will accept me as a member”. Times have changed and O’Leary has proved to be an active and influential member of what is essentially a working club of Europe’s leading airlines at very much a chief executive level. In what is seen as another about-turn, he confirmed that Ryanair was active in securing connectivit with long-haul carriers with Aer Lingus at Dublin top of the list. He pointed out it would be a very small percentage of the overall Ryanair business. Much emphasis was placed on the situation regarding matters outside the airline’s control. 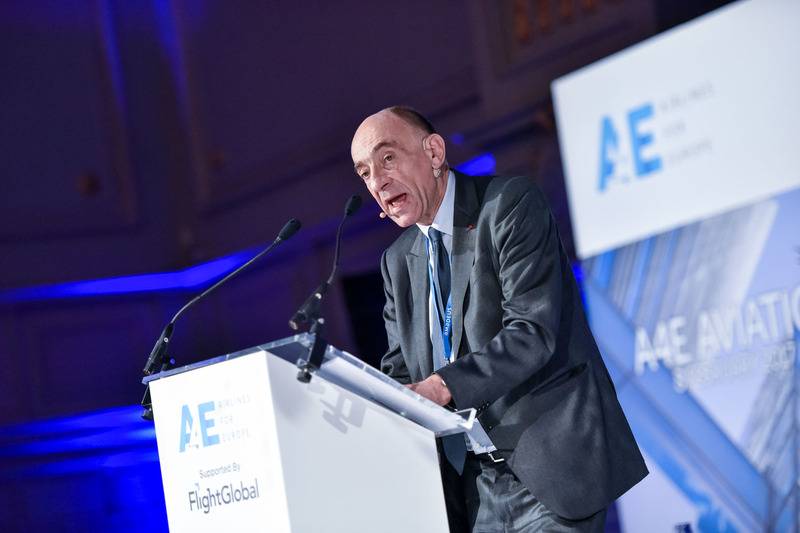 “Unreasonable aviation taxes, high airport charges and disrupted travel plans by ATC strikes are penalising passengers and undermining Europe’s economic growth and jobs,” said A4E managing director Thomas Reynaert. “Strikes should be the last step not the first one and the Commission must take immediate action and lead on an issue that affects the whole of Europe," he said. "Forty-one strike days in 2016 have pushed the overall number of strike days since 2010 to 217, accounting for over 35,000 cancelled flights and more than 7m minutes of delay.” This was deemed essentially a dig at Henrik Hololei, director-general for mobility and transport, European Commission. Hololei, very personable, made a short speech which essentially said the EU could only recommend when it came to airline operational matters and would not intervene. What he said confirmed the EU is toothless in this area. Reynaert was emphatic about airport charges: "We need a clear [European] Commission commitment to review the Airport Charges Directive and this must happen in 2017. The directive hasn't achieved its objectives of greater transparency, user consultation and non-discrimination." Brexit was a subject debated with the general opinion that it would not make any difference when it came to bilaterals, all countries requiring two-way traffic. Ryanair’s largest market is still the UK, and likewise easyJet, whose CEO, Carolyn McCall, has chaired the A4E since its establishment. With this event, she is handing over the reins to Carsten Spohr, CEO, Lufhansa Group. 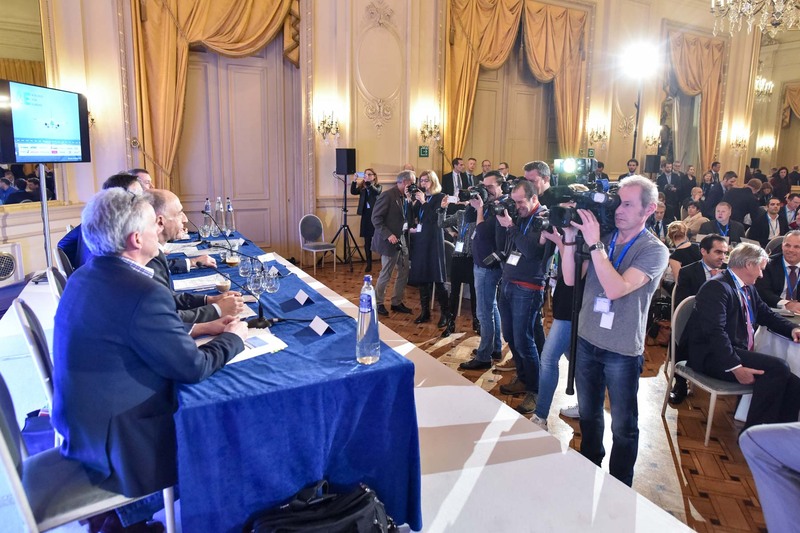 IAG chief Willie Walsh led a discussion on what was termed “Robust Prosperity Through Aviation”, exhorting the European Commission to "boost Europe's competitiveness by supporting our call for the abolition of aviation taxes". He named Britain, Germany, France, Italy and Austria as countries imposing the most significant air travel taxes in Europe. “Abolishing this tax could boost the UK economy by about 1.7%", he said. He reiterated his previous comments that Amsterdam and Dublin were seeing the benefits of cross-border business. 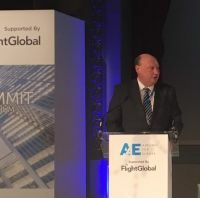 BTN took the opportunity with the oneworld CEO speaking at London’s Aviation Club the next day to ask Walsh if he had changed his view that the global alliances had only a 10-year future. He made it clear that his original comment stood! See "Aviation Club welcomes oneworld" in this issue. Air France-KLM chief Jean-Marc Janaillac is new to the airline scene and while he put across the same message he clearly has some way to go to secure the measure of authority that Bjorn Kjos of Norwegian and Martin Gauss of Air Baltic showed with their contributions. His message was very much in line with the general theme. "Airports should consult with airlines before setting charges," he emphasised. An important contributor to a series of panel discussions was Martin Rolfe, chair of CANSO Europe (Civil Air Navigation Services Organisation) and also CEO of NATS, the main air navigation service provider in the UK. Both CANSO and A4E are faced with the same expensive problem. The technical, operational, regulatory and legal issues that exist today related to industrial action in the European ATM network. Both organisations are working together to evaluate progress in addressing these issues that affect the whole of Europe and are suggesting a legally binding minimum of 72 hours' notification of participation in a strike. These should be implemented by European states where possible and practical. "CANSO is ready to engage in a collaborative and productive relationship that achieves the objectives of a reliable air transport system, enabling passengers and businesses to enjoy the full benefits of free movement by air in Europe. Most national air traffic providers and their social partners have successfully avoided industrial action or managed the action to reduce the impact on the travelling public," Rolfe said. The word “France” was hinted at during the discourse, and actually quietly spoken about. But this is Brussels, and A4E has to be diplomatic. 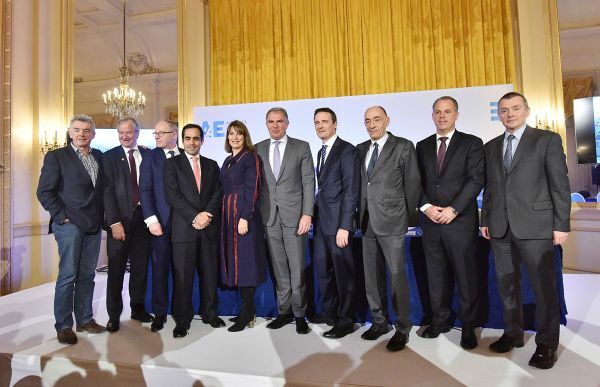 The message was emphatic: “CANSO and A4E urge other key stakeholders to join this partnership, as a joint effort is the only way to protect and enhance the overall performance of the European ATM network and more widely, the reputation, jobs and prosperity of Europe," he said. The event was organised in conjunction with Flight Global.